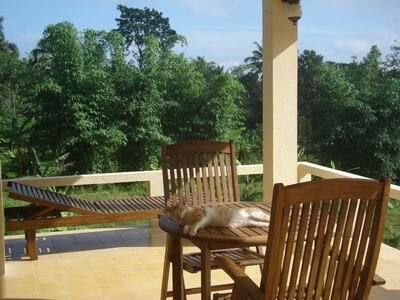 On our veranda you can relax as you watch an ongoing lesson or a training in the Picadero. 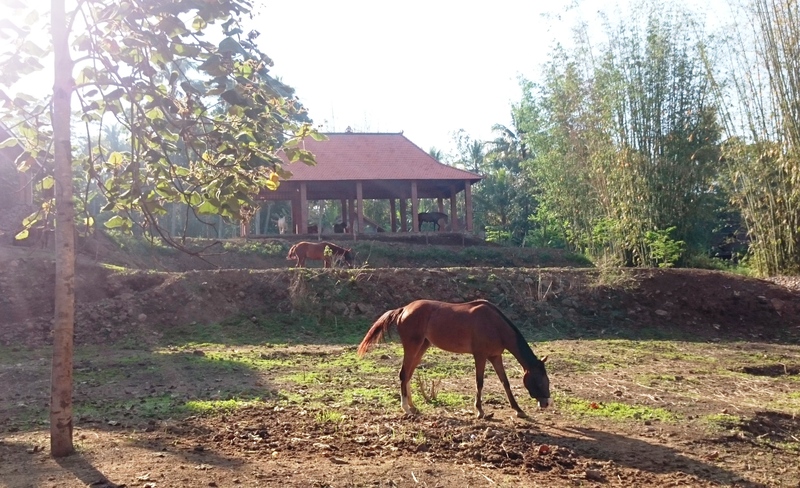 Read a horsey book or magazine, take a cold drink, and enjoy the green and tranquil surroundings. 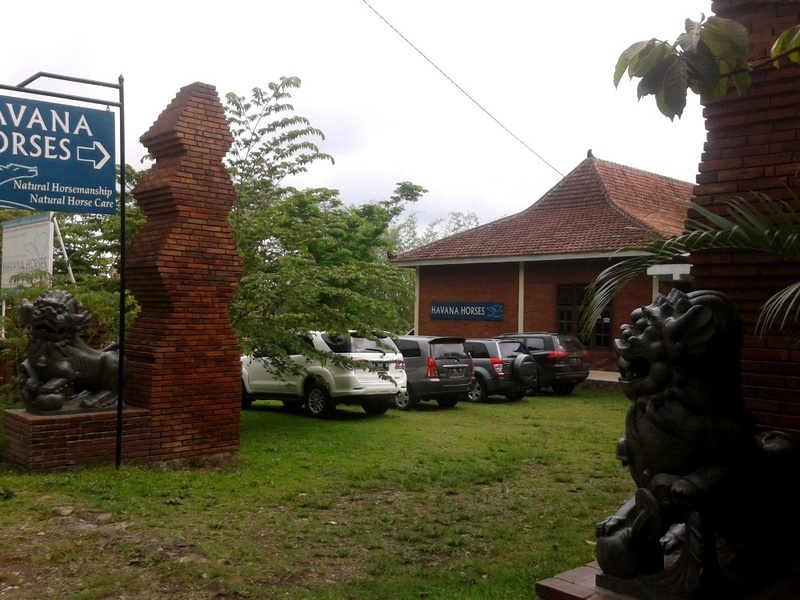 Participants in an Intensive Course will enjoy their Javanese lunch here. 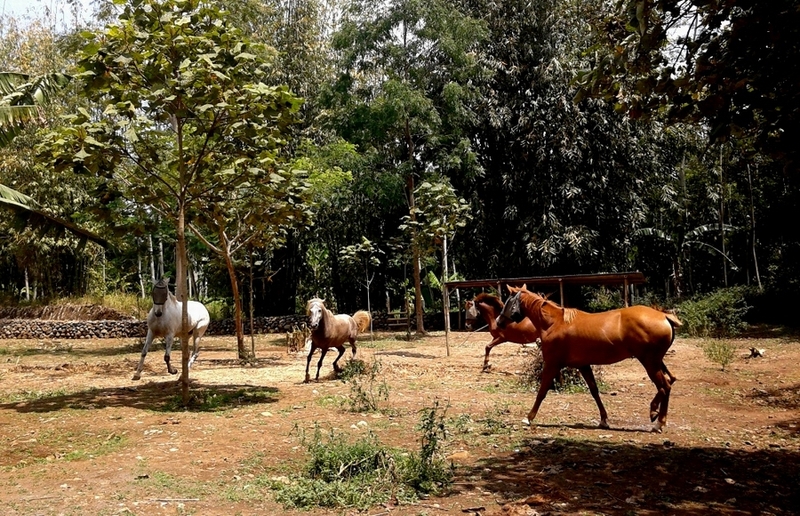 We sell good quality natural horsemanship tack, lead ropes, saddles, bitless bridles, and basic riding gear such as helmets, breeches, jodhpur boots and chaps, imported from Europe and Malaysia. The therapeutic water in our Equine Spa contains a chosen composition of minerals and salts with cooling, disinfecting, anti-fungus and healing qualities. 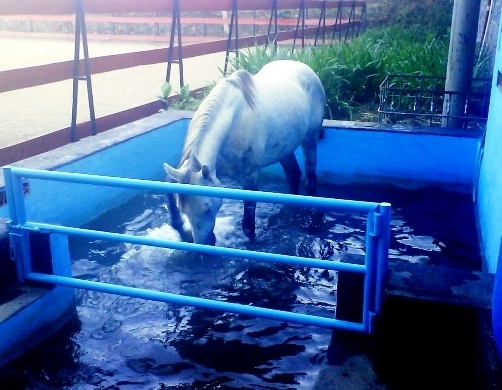 Tendons and hoofs cool down and heal while your horse just loves to be in the water! 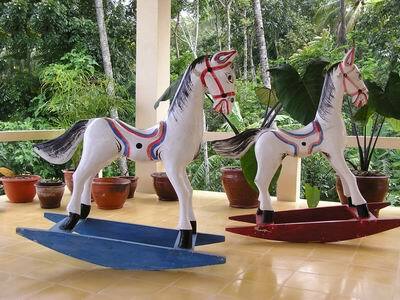 The picadero is a Spanish concept, among others used by Klaus Ferdinand Hempfling, for horse training. Its size is perfect for at liberty work and longeing, to supple the horse, as it has to bend through the corners. 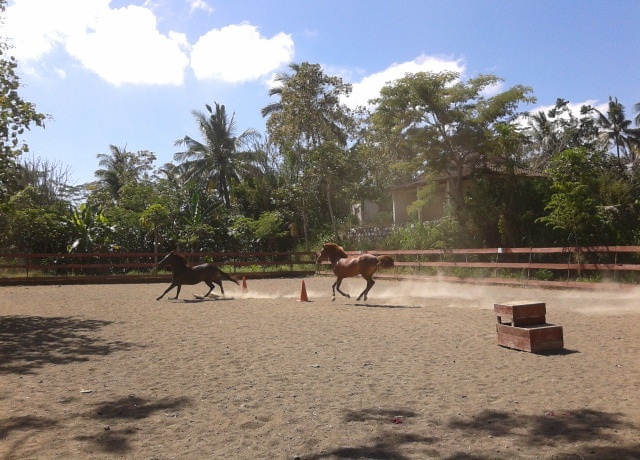 We broke down our round pen, after we found that - especially the young - horses feel trapped in a round area with no beginning nor end. Our spacious arena, with the measurements of an international ring, is perfect for at liberty work, natural riding & jumping. 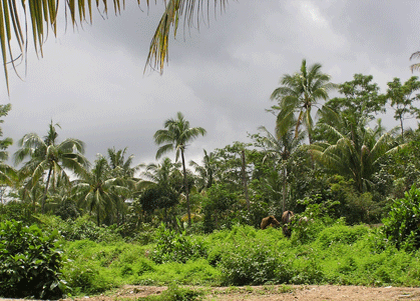 Riding between the green 'kebun' or gardens with a variety of plants and trees, such as coffee and coconut trees, is a real pleasure! 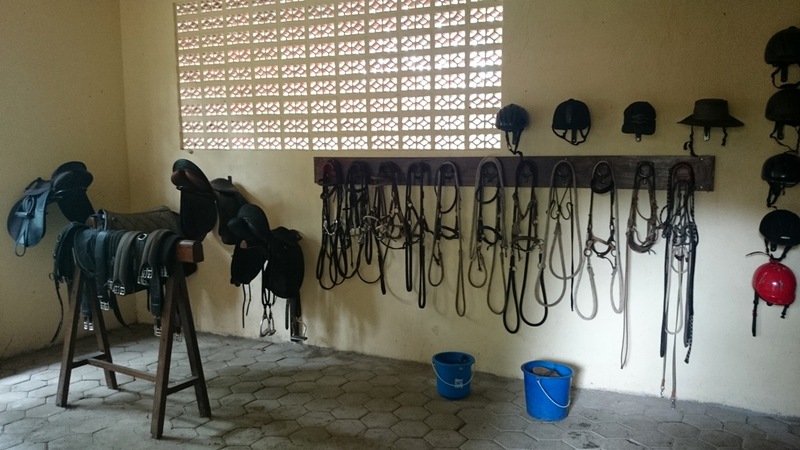 In our tack room all tack, such as saddles, halters, bridles, rope halters, lead ropes, and daily necessities are stored in an orderly manner. Spacious shelters are provided to hide from the heat, rain or wind. 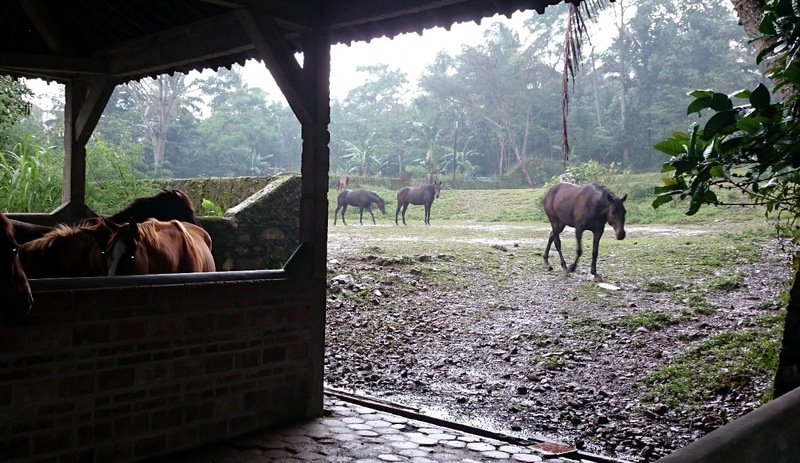 Some horses like to seek shelter for a while when it rains, some don't. Most horses prefer to live outside, rain or shine! Our 12500 m2 of pasture and paddocks is divided into three parts for sequential grazing and managing of the land. Because our horses live outside 24/7 they are used to falling leaves and branches of trees and therefore are not spooky; they are used to walk and run on uneven stony ground with holes and bumps which makes them brave and sure-footed! In our food corner we mix our horse feed ourselves. This is an organic mixture of wheat bran, rice bran, a little bit of corn and the essential minerals copper sulfate, dolomite/calcium and sulfur. 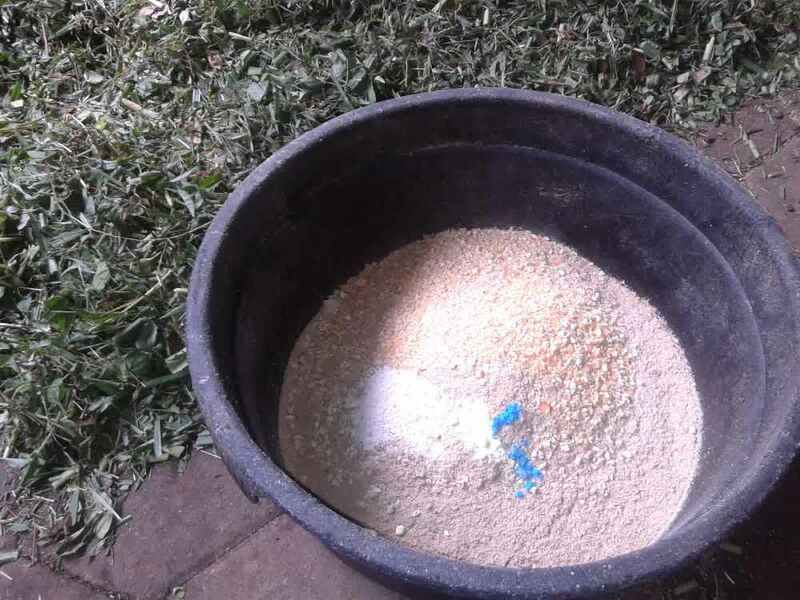 The mixture is again mixed with a lot of chaff to provide the horses with bulk in the form of fibers. Our happy horses with their shiny coats prove we have found the right recipe!